The Sete Maravilhas de Portugal (7 Wonders of Portugal) is a list of cultural monuments and places voted for by the Portuguese people in an open poll in 2006. Since then it has been on tourism pamphlets. Again, I am utterly surprised by Portuguese humility. I haven’t traveled all of Portugal yet but I can already say that there are far more wonderful things in Portugal than these tourist magnets. Nevertheless, for starters, these places represent the overlooked, unparalleled charm that this country has to offer. Probably the most defining feature of this small tower is its silhouette. It showcases the distinct Portuguese Manueline design which somewhat borders Renaissance and Gothic. This should have been listed though with the Jeronimos Monastery because it looks like an extension and a mere 10-15 minutes away by foot. But there is beauty in the isolation of this tower by the vast Rio Tejo, witness to the rich navigation history of a nation that once owned almost half of the world. 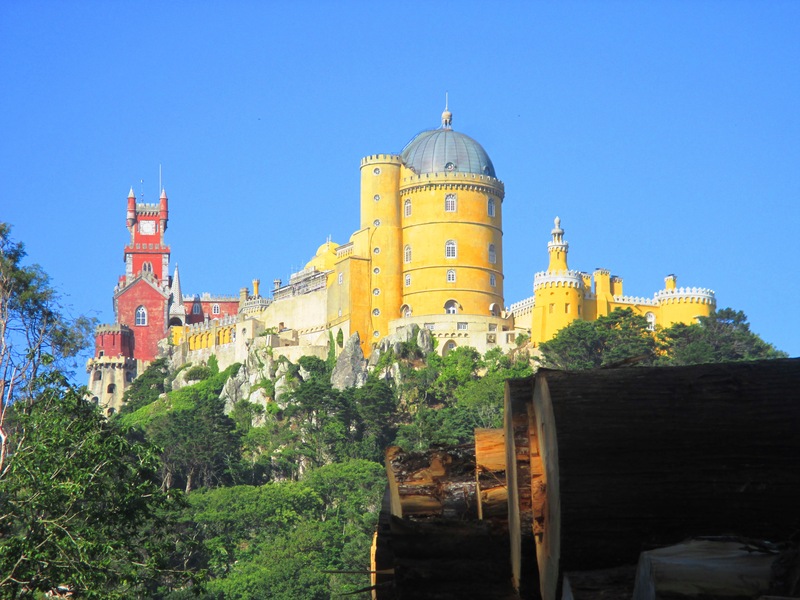 Right at the very heart of the verdant hills of Sintra, sits this colourful medieval Palace. I’m a little unsure about the color because, as you may observe from the other features in this list, it has surprisingly the most pastel and the least auburn, washed-out or mossy kind of old world skin. It’s unique but too icing for my taste. Anyway, some would probably refer to it as a tourist trap being too expensive for typical Portuguese museum fees and the way up there could be an exhausting climb. I think it is more charming from afar than up-close. And the interior pales in comparison with other well known palaces so it would be more awesome to view it from other hilltop attractions in Sintra. Probably the most famous of the bunch, the Jeronimos Monastery is one of my favourites design-wise. The level of craftsmanship put into it is just amazing. Also built with limestone in Manueline style, the structure exudes the glory of old Portugal. It houses the maritime and archaeology museums and a massive gothic-inspired church that is home to the remains of Vasco da Gama. If the long ornamented facade will not inspire you, wait until you see the decorated cloister arches in the interior. It is just a stunning masterpiece. The palaces of faith are indeed divine inspired. This imposing structure sitting on the heart of a very tiny town shows how divine inspiration during the old times has materialized into a stunning work of art. 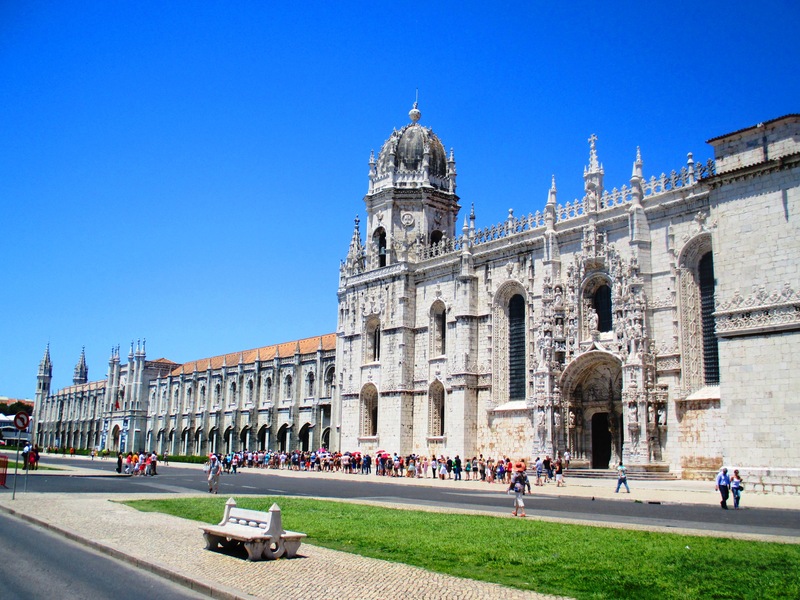 Said to be the first gothic building in Portugal, no one can deny its historical importance. It is indeed a huge complex home to religious pieces and tombs of faithful royals. Surrounding it are a few petite houses and restaurants where you can take a break and still admire the wonderful facade. The third monastery in the bunch, Batalha is the more fiercely gothic cousin of the much tamer Alcobaça Monastery. It was built to thank the Virgin Mary for the victory of Portugal over the Spaniards hundreds of years ago. Well, you see how intense the Portugal vs. Spain rivalry has been that it has to be celebrated by building an exaggeratedly large trophy. The monastery was never finished actually – quite foreshadowing what has to happen with this rivalry if you ask me but yes, the unfinished chapel is an attraction. Very ornately embellished, it leaves your imagination to see the original splendid vision of its designer. The third wonder to come from Leira, clearly, this district rigged the polls. But kidding aside, they do have a reason to be included in the list especially Obidos which is a well-preserved medieval walled city. The walls remain intact as well as the tile-roof houses and cobblestone pavements. Used to be a Roman settlement, the city still exudes its historic ambience. The city is also famous for its chocolate festival and medieval fairs because there is really no other perfect setting for these festivals than this charming walled city. Well, Guimaraes, as a birthplace of the Portuguese civilization that helped shaped the world is indeed a valiant city that is worth due respect. I just don’t think the castle deserves this top spot. Maybe 800 years ago. The castle is… uhm… empty. I actually enjoyed more the nearby Palace of the Duke of Braganza next to it so, with plenty of other options within Guimaraes and nearby Braga, it is indeed a very peculiar top pick. But maybe they took the entire city and its overall impact into account (just like Obidos) so yes, let’s give it the benefit of the doubt.